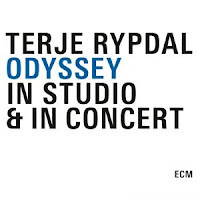 In 1994, when ECM re-released Terje Rypdal's double LP "Odyssey" from 1975 without the twenty-three minute long "Rolling Stone", which ended the original version, I thought Manfred Eicher had gone crazy or senile, or both. He had taken away one of the best pieces of the album. A long track, sure enough, with some Mahavishnu references at the beginning and throughout, then turning into a mid-tempo psychedelic piece, propulsed forward by a simple and repetitive guitar riff, and some powerful yet subtle drumming. A perfect apotheosis and grand closer for this great album. The band consists of Terje Rypdal on electric guitar, soprano sax and synth, Brynjolf Blix on organ, Svein Christiansen on drums, Sveinung Hovensjø on 4- and 6-string bass, and Torbjørn Sunde on trombone. The album starts with the ominous "Darkness Falls", and it creates a universe of absolute desolation and icy coldness, incredible pace and some rough moments of drama that will keep the listener spell-bound till the very last notes of the now recuperated last track. 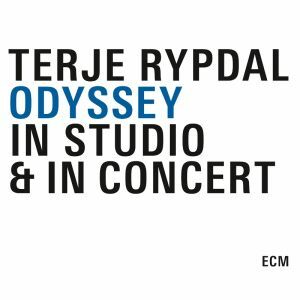 Like his Norwegian compatriot Jan Garbarek did on the saxophone, Rypdal managed to create one of the most recognizable sounds on his instrument : an icy, very expansive tone, full of reverb, in a way incredibly romantic because full of passion, but then of the kind that abhores intimacy but embraces distant horizons. The re-release comes as a 3-CD box, adding "Unfinished Highballs", a recently unearthed 1976 radio recording of the quartet with the Swedish Radio Jazz Group, the station's big band. "Unfinished Highballs" is interesting, a kind of early precursor to "Crime Scene", and a total contradiction with Odyssey. The lengthy, merciless and expansive icyness of Odyssey is now replaced by dense, varied and warm horn tones, somewhat outdated synth sounds, and an overall musical quality that is hesitating between real big band and kitsch, somewhat failing in its ambition. There is no real tension, less sense of drama, no big surprises, no radical vision. Nice to have, though not essential. But to have the integral Odyssey back on one CD, is a major happening. JE vois que tu est d'accord avec moi, j'ai toujours le vinyle avec Rollin' Stone, mon titre "fétiche" de Odissey, l'album qui m'a fait entrer dans l'univers de Rypdal. je file de ce pas le trouver ! Enfin l'erreur serait réparée ? Rollin Stone est la pièce de Rypdal qui m'a fait user le vinyle jusqu'à l’extrême (et m'en procurer un second, rien que pour ce titre...). Alors, enfin, en cd ?